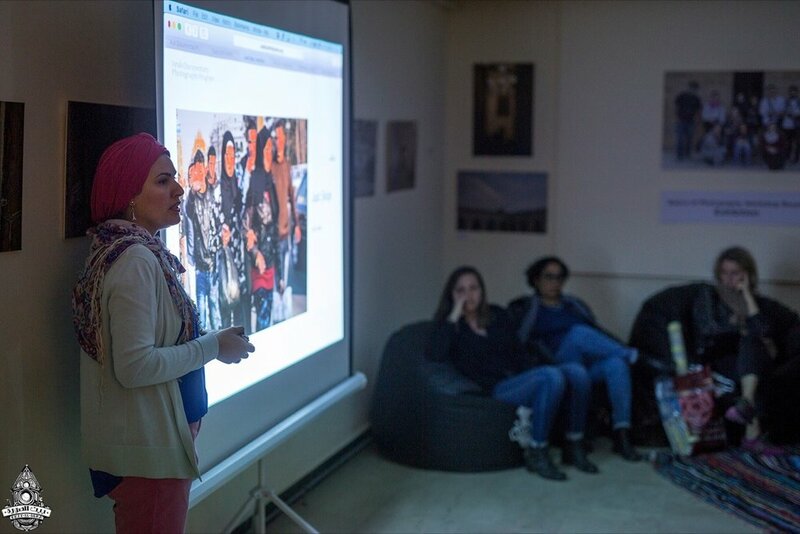 After this year’s final Arab Documentary Photography Program workshop in Beirut, we held a portfolio review and two evening screenings at Beit El Sura in Cairo, Egypt for local practitioners pursuing projects concerning social justice. 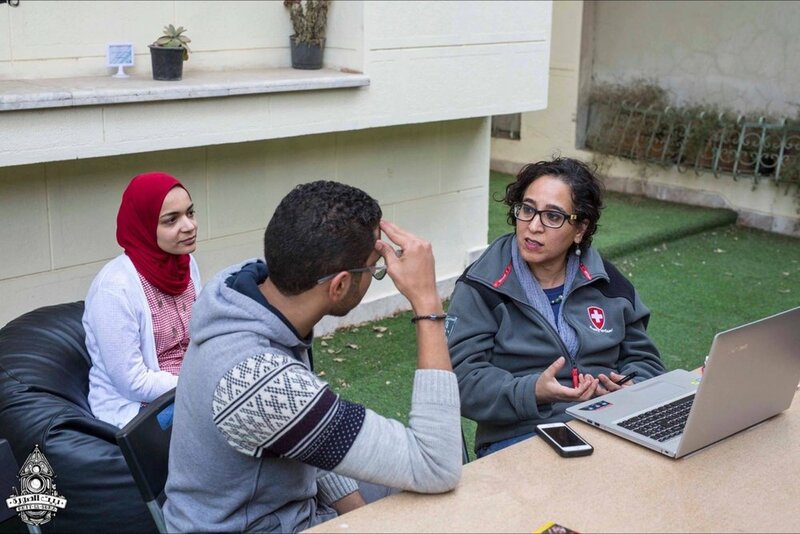 Egyptian photographer Eman Helal was at the helm of the events, inspired to open a safe space for critical discussion and support similar to what she had experienced both as a participant in the Arab Documentary Photography Program and as a Photography and Social Justice fellow. We screened work from the Arab Documentary Photography program (ADPP) and our collective What Works project over two evenings. Both events were full, with many attending each night, which sparked an in-depth discussion around programatic frameworks that had not previously been in dialogue before in an intentional public facing way. With the help of her personal network and other Arabic speaking Magnum Foundation fellows, Eman had all nine What Works multi-media pieces translated into Arabic for the audience. This inspired other grantees in Ukraine and Ecuador to do the same in their respective languages for local screenings in their own communities. Muyi Xiao, a Magnum Foundation fellow from China, spoke via Skype with the audience about her project, stimulating a participatory exchange. 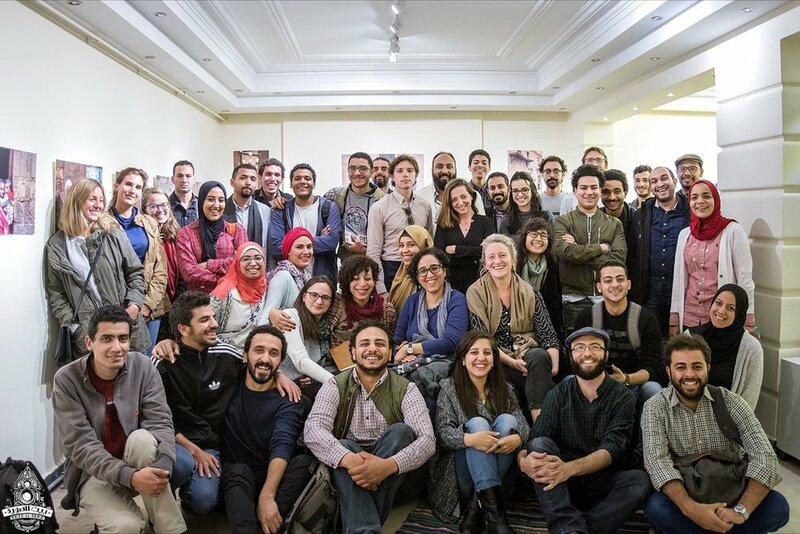 At the second screening event, all seven former ADPP grantees that are currently based in Egypt presented their projects from the program and sat on a panel to share reflections and answer questions. Twenty-five photographers were selected through a competitive process to participate in the portfolio review. The reviewers included our Director of Programs, Emma Raynes, and Arab Documentary Photography Program mentor Randa Shaath and coordinator Jessica Murray. Local grantees graciously acted as translators for their colleagues. Projects presented in the reviews ranged in topic, including: courtroom proceedings, drought in the Nile Delta, severe lung disease caused by cement dust in Alexandria, refugees from other parts of Africa living in Cairo, and personal objects that women prisoners keep with them. The Cairo events dovetailed constructively with the intensive ADPP workshops in Beirut. One of the common takeaways from the sessions in Beirut is the importance of bringing together practitioners that otherwise might not be able to come together and share in their practice and development. In a politically fragmented region, these workshops are a rare safe space to delve into pertinent issues around methodology, approach, and placement of what can often be sensitive work. The conversations had in Beirut informed those in Cairo, exposing new questions and prompts that we will think through with our collaborators, the Prince Claus Fund and the Arab Fund for Arts and Culture, and our program mentors as we move in to the selection process and programming for the 2017 ADPP grantees. Applications are currently open and will close on May 1st, 2017.